Endut volcano is one of a complex of 3 closely located old stratovolcanoes known as the Perbakti-Gagak or Kiaraberes-Gagak volcanic complex situated immediately SW of Salak volcano and near Bogor town. The 3 volcanoes of the group are, from S to N, Gunung Endut (1474 m), Gunung Perbakti (1699 m), and Gunung Gagak (1511 m). 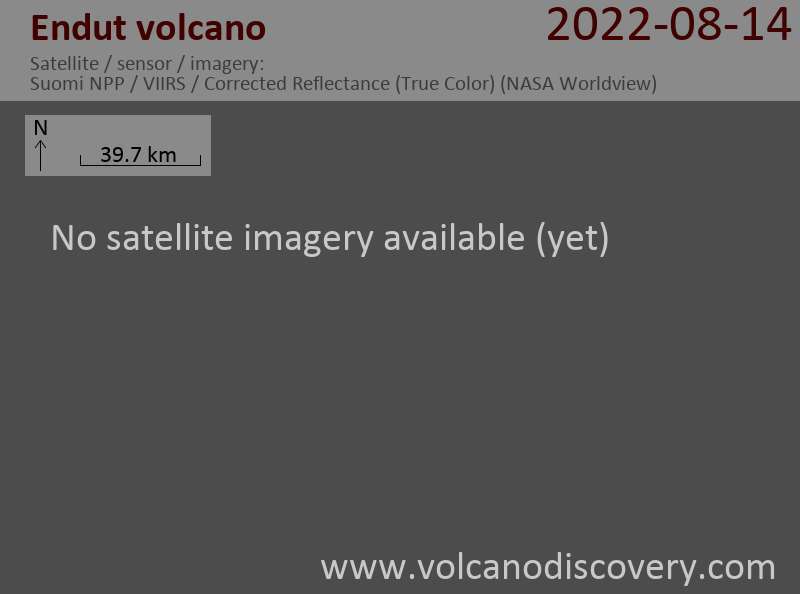 Latest volcano webcam image: Many volcanoes can be observed in real-time using webcams. 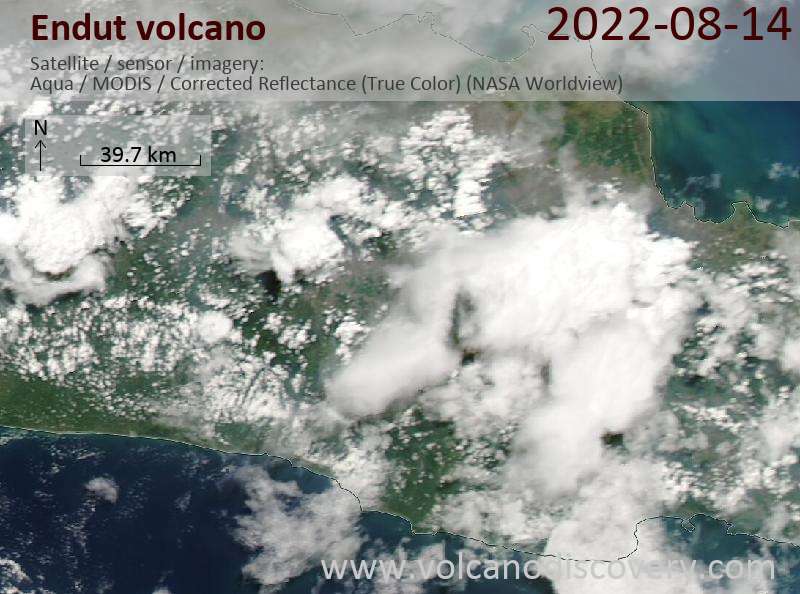 Look at the latest images collected from our volcano webcam viewer tool. How to watch volcanoes? Which volcano to choose? Some guidelines.